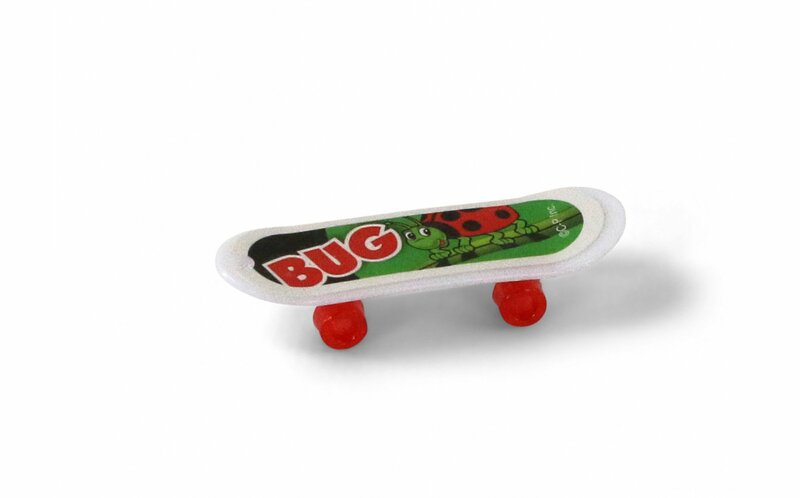 Miniature skateboard for sand tray therapy. 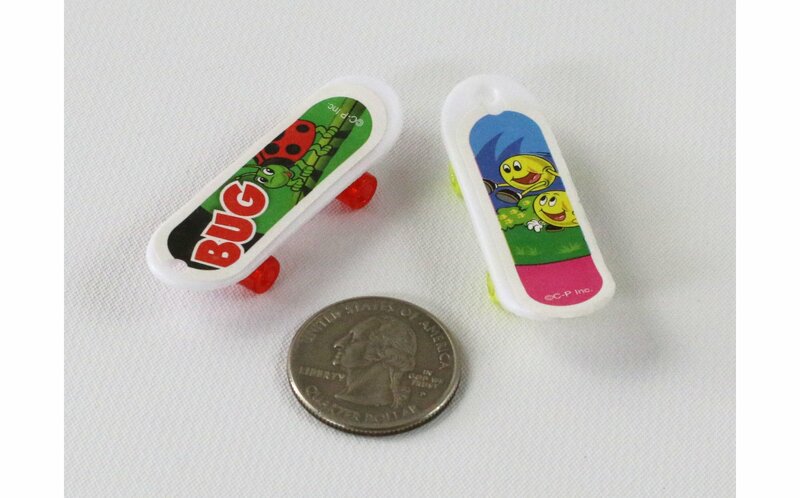 Plastic skateboard comes in assorted designs. 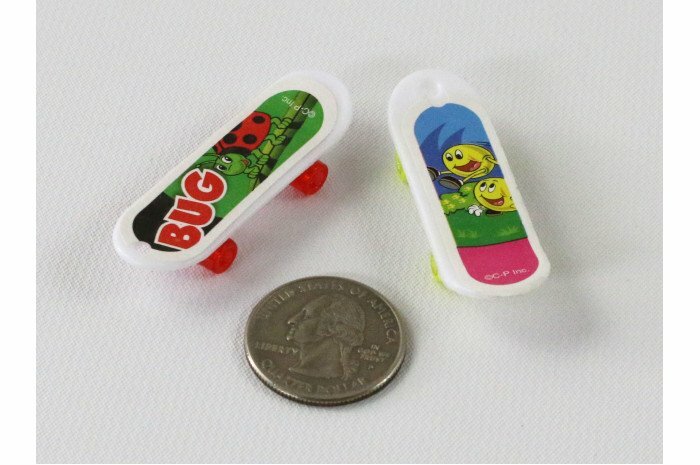 Each is 2" long.